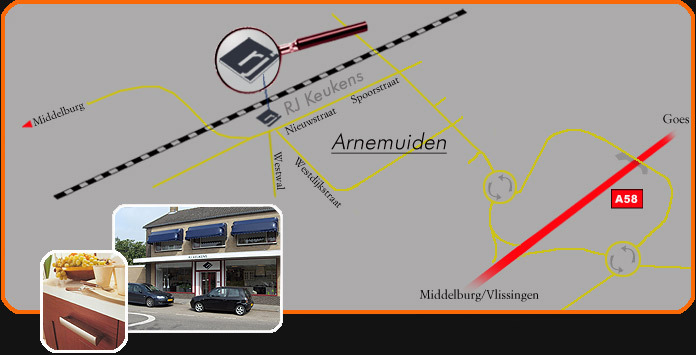 Our main Snaidero kitchen showroom is located in the south west of the Netherlands, in the village of Arnemuiden. Ideally situated close to the motorway (A58), we have plenty of parking facilities. Our showroom is also a short 50 metre walk from the railway station. We can also be easily reached by small plane as Arnemuiden has its own airport, the Zeeland Airport, about 5 kilometres from our showroom. After landing, just give us a call for your pick-up service.